When it comes to realistic-looking lures, nobody beats LiveTarget — and this time they’ve turned their attention to anatomical precision to a staple food for bass, with the introduction of the new hollow body craw. 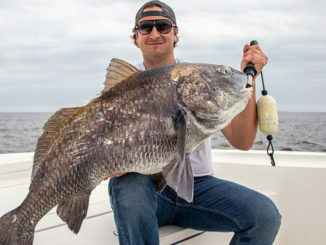 I got the chance to see it in action last summer, shortly after it won Best of Show at ICAST 2018 for the Freshwater Soft Lure category. And let me tell you, this hollow body/jig combo is something to behold. 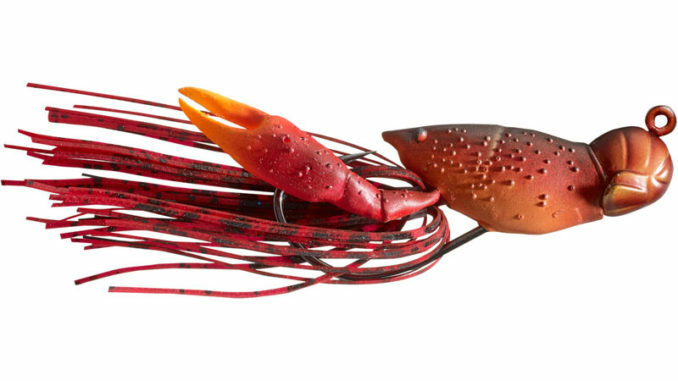 The lure comes in three sizes (1 ½-inch, 3/8-ounce; 1 ¾-inch, ½-ounce and 2-inch, 3/8-ounce) and eight colors, but the beauty of this craw is that its skirt and pincers trap tiny air bubbles, which create tantalizingly realistic movement — even when the lure is sitting still on the bottom. And to top it off, it moves in reverse, like a fleeing crawfish. (Just don’t bring it to a boil, because it looks so real someone might get hooked.) MSRP is $9.99 – $11.49, and each lure comes with a pair of replacement pincers.